Absent a car accident, sports injury or other acute serious trauma, most people who undergo elective hip replacement surgery are older individuals who have dealt with years of osteoarthritis pain. While the average age has fallen slightly, most patients deal with arthritis pain until they can no longer get around, and eventually decide to undergo total hip replacement surgery. 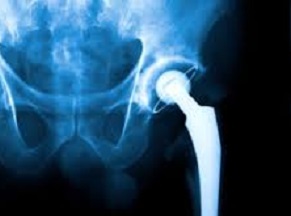 Prior to having surgery, there are various non-surgical techniques, such as taking anti-inflammatory medications, cortisone injections, medical grade joint lubrication injections, and various other similar treatments, but eventually the pain gets to the point where total hip replacement surgery is the only feasible option. According to a recent article from the NY Daily News, arthritis is one of the most common chronic health conditions in the United States. Researchers estimate there are over 25 million Americans suffering from chronic arthritis at any given time. While arthritis is cause by either normal wear-and-tear of a joint, or as result of some traumatic impact, with respect to hip arthritis, it is estimated the condition will develop in around 20 percent of all Americans at some point in their lives. There are a variety of reason the hip is so often affected. One of these reasons is it among the largest joints in the human body. It is also a ball and socket joint. The ball is located at the top of the femur (upper leg bone or thigh bone), and the socket is formed in the pelvic bone. There is a lot of movement between the ball and socket, and that means a lot of friction. To cushion the joint and ease friction, the human body forms a layer of cartilage. However, this cartilage wears away over time (or is destroyed in a traumatic impact) and does not regenerate. Eventually the patient is left with bone-on-bone contact every time he or she moves his or her legs and that means pain and discomfort. The more cartilage destroyed, the worse the pain. To make matters worse, this bone-on-bone grinding can eventually misshape the ball and socket joint causing it to knock around rather than roll back and forth smoothly. This not only causes pain as a result of these bone spurs, but it also causes the hip to misalign in a medical condition known as hip dysplasia. With all of this pain associated with chronic arthritis, it is not hard to imagine how a patient would chose to undergo a total hip replacement. Medical device manufacturers are basically fighting over the chance to get their respective devices implanted into these patients. As our Boston hip replacement injury attorneys can explain, one of the ways they fight for their share of the market is to make claims of how great their new products are, even when they know they aren’t safe, and even when that involves concealing adverse effects from doctors and the US FDA. An example of this would be the Pinnacle ASR hip from a company called DePuy, which used a metal-on-metal ball and socket joint to replace the patient’s natural hip. They claimed metal-on-metal was smoother than other materials, such as cement or rubber, and would let patients have a more active life. What really happened was metal shavings came loose in patients’ bodies, leading to painful cuts and scarring, tissue damage, and a form of poisoning known as metalosis.